There is only one reason to buy this lithium battery: the power capacity to weight ratio. 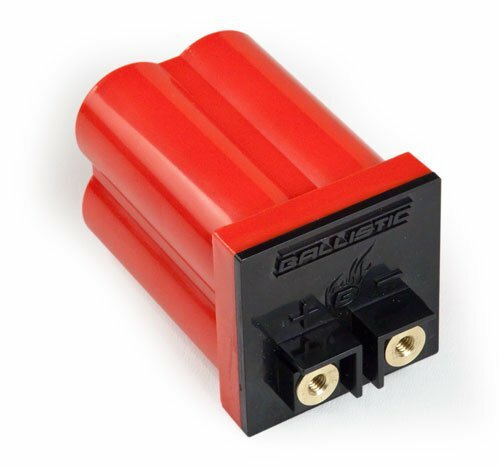 On their website, Ballistic Performance estimates the capacity of this battery to be 8 "Pb-eq-A/H" or "Lead-equivalent amp-hours". In other words, the battery is supposed to perform like an 8 Ah SLA battery at 1/5th or less the weight (and about 4-5 times the cost). In my application the battery did not perform as advertised. I calculate that it operates more like a 5 Ah SLA battery. Seeing as how I need more capacity the battery is pretty much useless. I am using the battery as part of a portable solar array, which the manufacture clearly states is an unintended use that will void the warranty. Because of this, I bought this battery to see how well the product line performed, rather than buying the 16 cell version. The battery warrants 3 stars because it does perform well in this set up. It charges via solar and discharges reliably while powering 12v devices. (I'v e gone through 4 full charge/discharge cycles.) And it is super light weight. But again, it does not have the advertised capacity. And I assume this means the whole product line performs at lower Ah than advertised. For this reason, my opinion is that they are too expensive for amount of power they provide. So if you need a very light battery performing *near* 5 Ah capacity then its a good battery. For my needs, the weight saved is not worth the cost, especially given that the performance is at least 40% lower than advertised. Bought this to replace the stock battery on my 07 KLX250. It is very tiny and was very well reviewed in the forums. I only give it 4 stars because I had to modify my battery box to make this fit. Would be nice if the contact points were similar to OEM batteries so that modifications would not be necessary. I don't know if this little battery has the power to turn over my motor, but, it does a fine job of storing juice for the lights, etc. on my 74 Yamaha TX500.